I wanted to take a couple of minutes and say thank you for all your assistance. I first met you on a pre-buy flight in Seattle in August. My experience including the demo flight has been simply amazing. In a world where we are busier than ever it’s still hard to get a one stop, full service individual. Alan you have met and exceeded all of my expectations. From the pre-buy inspection arranged by you, the numerous coordination and execution was not an easy task. This is an airplane. It’s pretty yellow Sportman 2+2 bird but still a complex mechanical beast that requires attention. 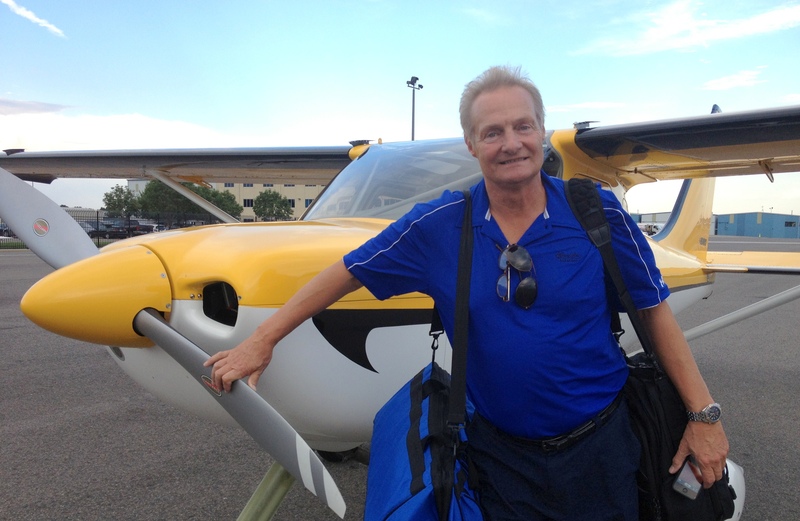 Then deciding to switch over the gear and deliver the plane to Denver was a lot to ask. But again Alan, you came through in spades. Always on time, professional and simply a pleasure to travel with. Then comes the icing on the cake. The last minute training of my son in Denver. Insurance required it and you squeezed it in an already busy day changing your flight home. And to this day, the missing weight and balance I misplaced, you sent in 10 minutes. Alan a job well done. I want to sincerely thank you. You are an oasis in the aviation world. Please feel free to use me as a reference. You can bet when it comes time to sell my aircraft there will be no other Broker. You are it. Keep up the fine work. You’ll have a lot of doubles in your life of everything but you only have one reputation and yours is a model for all.